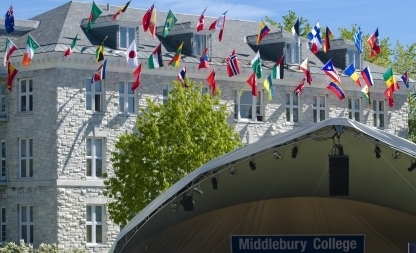 The Middlebury College Bookstore would like to welcome the new incoming freshmen and the newly arriving International Students this year. We have updated some styles in our hats and added many new styles to our clothing line-up for the fall. We have also added styles to our socks selection. Our regular Midd Wear has a new look as well, like our Midd sweatpants and bottoms. We are offering fresh new designs to our Tees and Jackets too. By utilizing our Student help with choosing our new selections, we are creating this fresh ideas approach to our purchasing. Come in and check us out and tell us what you think of our new designs and fresh ideas! 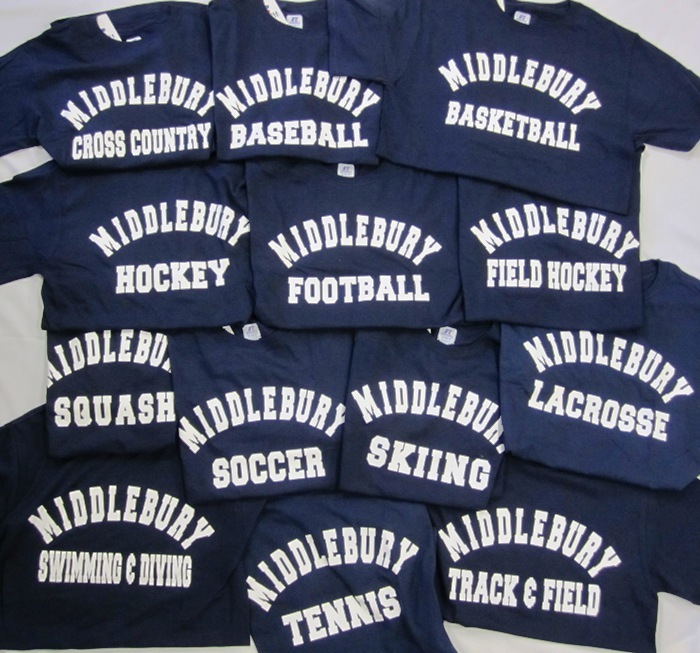 Over the past year, we have been inundated with requests for a more diverse selection of Sports with our Athletics Wear in the store. After searching thoroughly through our vendors, we have found the perfect solution. Made by Russell Athletic, we now have Navy Tees available for Baseball, Basketball, Cross Country, Field Hockey, Football, Hockey, Lacrosse, Squash, Soccer, Skiing, Swimming & Diving, Tennis, and Track & Field. Perfect for the sports lovers who want to cheer on their favorite team or player! Also, for the Middlebury fans who want to show their support for the best school around! The College Bookstore is having a Special Sale this week for our Language School Students who are leaving this week. It for for in-store shoppers only. We are dropping prices to 20% Off on our Clothing and Gift Items and we are extending that sale to Summer Language school only Books! Hurry over to get in on these special savings!